As technology makes it easier to connect with constituents, state and local governments are looking to build systems centered around and empowered by the citizen experience. This is especially the case with health and social services agencies. Public health systems often struggle to connect data across agencies and systems—leaving some communities without the insights they need to optimally allocate resources or to take action in the face of emerging epidemics. Speaking from nearly a decade of experience implementing programs in public health for the U.S. Food and Drug Administration (FDA) and the Centers for Disease Control (CDC), Kass-Hout presented a challenge – How do you get ahead of a pandemic, like the opioid epidemic, with limited resources before you are hit with additional waves of impacted citizens? Currently, the majority of healthcare and social services data is unstructured, meaning individual data points about an individual aren’t connected, making it difficult to understand a patient’s medical history and even harder to use that data to impact or understand a program’s results. By placing citizen issues at the center of the solution and building a community of IT vendors that can ease the undifferentiated heavy lifting, agencies can level the playing field—increasing their ability to share information and apply evidence-based and data-driven decision-making. For example, Traverse, a case discovery product from the AWS Public Sector Partner Program member Northwoods, uncovers dark data and uses it to present a comprehensive case story. It allows child welfare and adult and aging agencies to leverage the power of big data and the information they already have to make well-informed, more confident decisions. The tool helps to analyze years of information and volumes of case records to build connections that may have otherwise gone unnoticed. Read more on the blog here. Health IT vendors transform the way we collect and derive insights. Creating data environments at scale with a holistic approach to implementing care and diversion programs can be costly. By moving to the cloud, organizations can save on cost and access tools to better understand the data they are collecting. The insights derived from the data help agencies apply resources to the communities in need and create measurements around a program’s success. “You don’t have to be a data scientist. You only have to have a vision and knowledge of the toolset available to you,” Kass-Hout suggested. An individual’s personal health information (PHI) doesn’t necessarily connect from doctor to doctor, and often people don’t know what information they need to share as they move through the medical system. With a HIPAA-eligible system, such as Amazon Comprehend Medical, artificial intelligence, and machine learning technology can dive into and pattern data with the click of a button. This information can be applied so there is more transparency around an individual’s health. Access to the right information is a major component to providing better individual service. With access to complete citizen profiles, Health and Human Service (HHS) agencies can make recommendations about public assistance programs, including medicines, benefits, and programs that would be beneficial based on the prior services an individual has received. “The healthcare system is powered by value and incentives. What better incentive than to put the customer or citizen at the center?” said Kass-Hout. 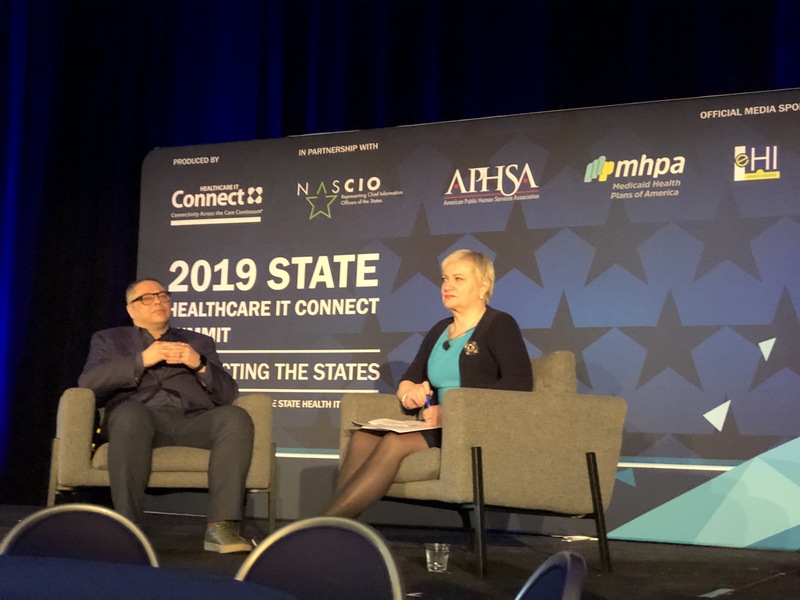 By putting the citizen at the center and connecting systems to increase transparency, agencies can collect more data over time, which can improve patient care, identify complications early, and save valuable time. This begins by breaking down data siloes with the cost-effective and scalable tools of the cloud. Taking advantage of AI should not be out of reach for anyone. Communities face the same set of problems whether they have in-house data scientists and epidemiologists or not. If you are not using AI right now, this is a time when you can leapfrog. With technology and a strong community of partners with expertise in health and social services issues, AWS levels the playing field for communities of all sizes. Wherever a community is on its journey, even if it’s only at the very beginning, AWS can play a part in the innovation process.